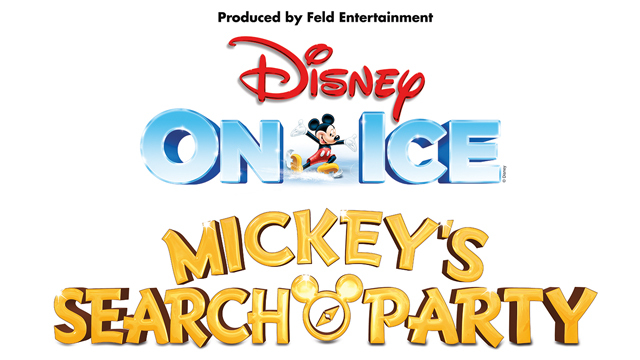 The newest Disney On Ice show is coming to Fairfax in just a little over a week! 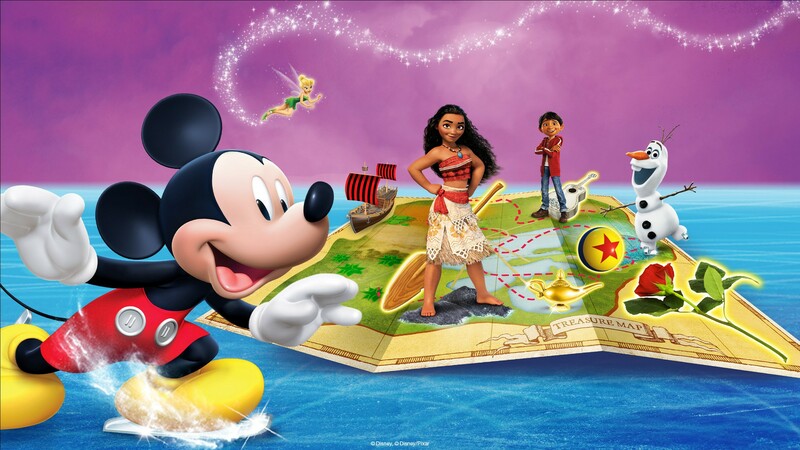 I’m excited to take my family and especially my little guy since he’s crazy about Mickey! 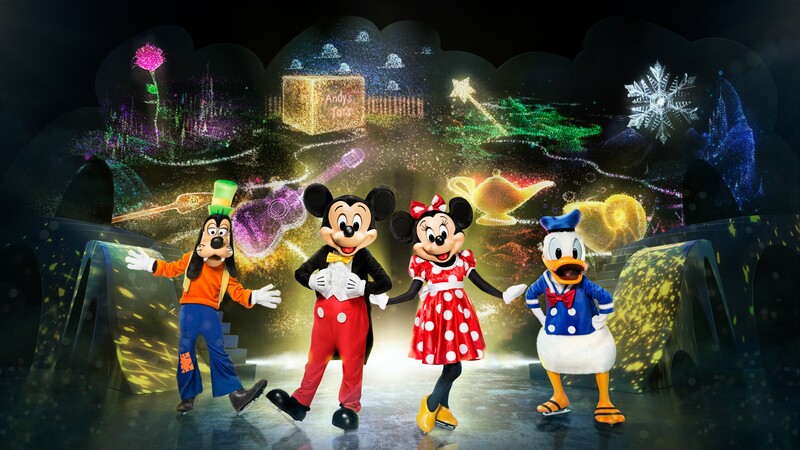 If you haven’t bought your tickets yet, you can use offer code GOOFY to save $6 per ticket through October 7. 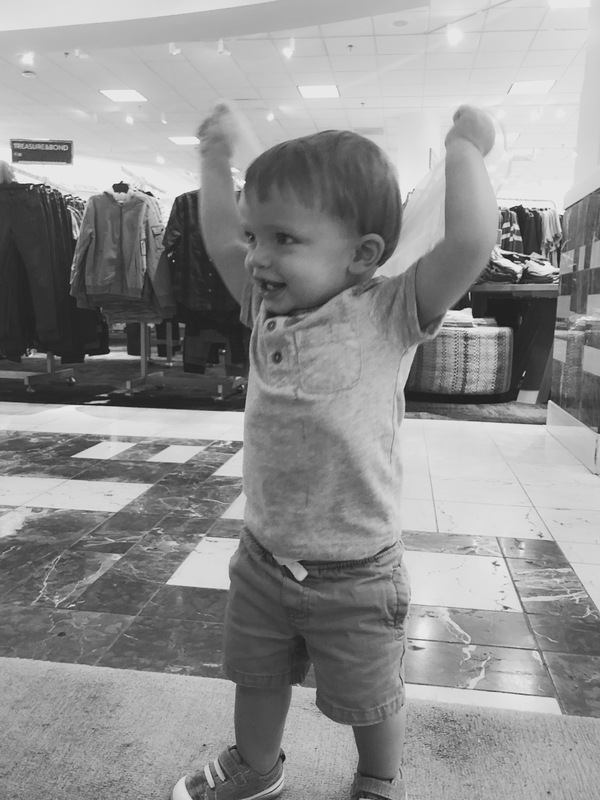 Click here to download a fun coloring sheet for your kids! Ahhh, summer! I love this time of year. 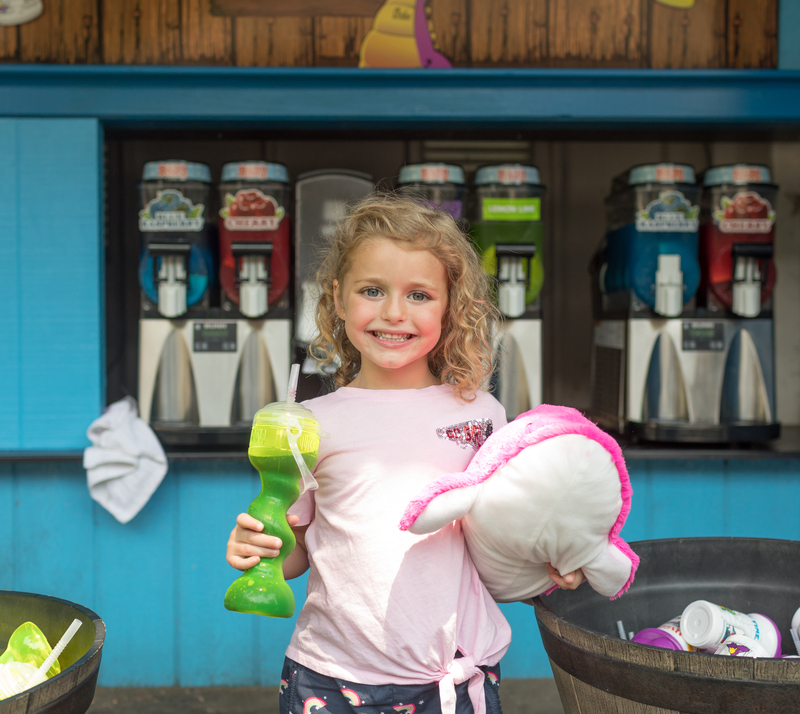 Warm weather, ice cream, the pool, vacations; it’s a beautiful time full of fun and memory-making. But every coin has two sides. Summer is also sweaty, hot, itchy, and tough for parents. It can be exhausting and hectic. But even with all these summer challenges, there are still ways to make the most of it! 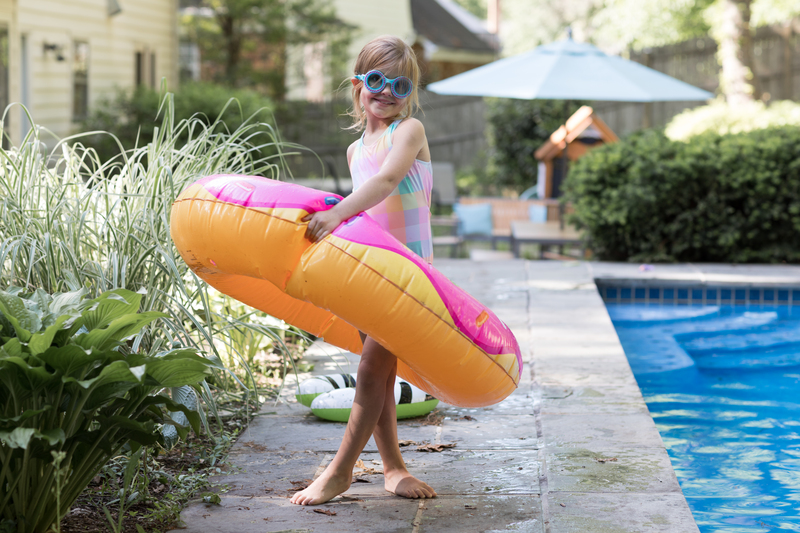 Read on for tips to battle and beat the WORST things about summer in DC. “Hot & Humid” is an accurate description of the weather in D.C. pretty much all summer long! A high concentration of humidity combined with hot temperatures can be dangerous to your health, especially children, the elderly, and people with health problems. So on days when the temps are in the 90’s I make sure to only take my kids out for an outdoor activity in the early morning. Then for the afternoon I’ll either plan something at an indoor place or we will hang out in the pool to stay cool. And I always pack water bottles when we go anywhere. A recent study has ranked D.C. as the fourth worst city in the U.S. for mosquitoes. We also get more than our fair share of cicadas, stink bugs, flies, ticks, and gnats. The biting and buzzing bugs can especially be a nuisance and make it difficult to enjoy the outdoors during the summer months. Mosquitoes are also a major health concern since they can transmit several diseases to humans including Zika virus, West Nile virus and several kinds of encephalitis. To help protect my family against mosquitoes, I use DC Mosquito Squads long-lasting barrier spray treatments to keep our yard bug-free. Hearing the words “I’m Bored” makes me cringe! 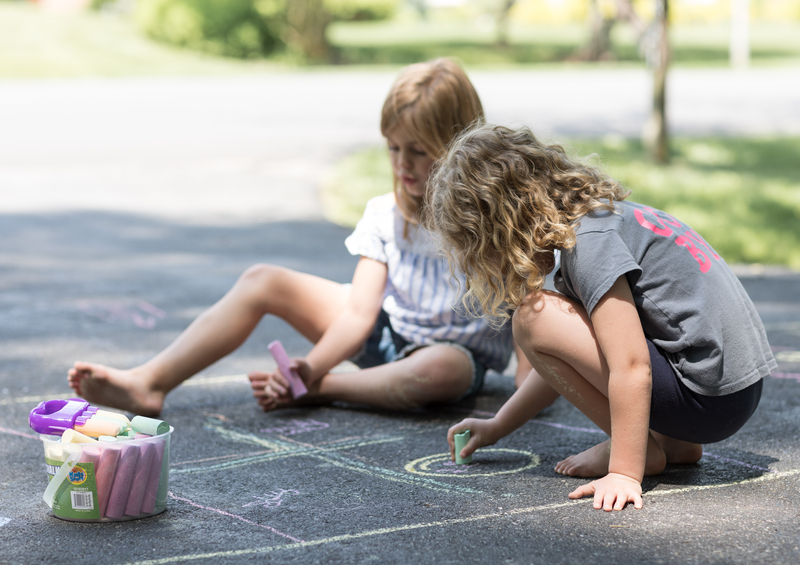 While I try to encourage my girls to use their creativity and play together or independently….it only works for so long. 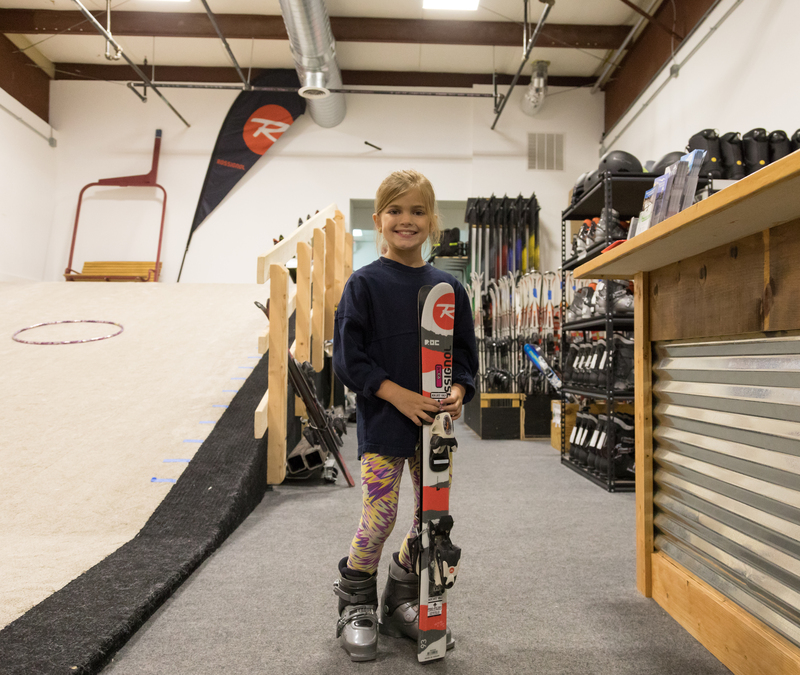 I try to plan lots of games, activities, and trips to keep them entertained but finding that sweet spot of “just enough” activity without over-scheduling is the goal. 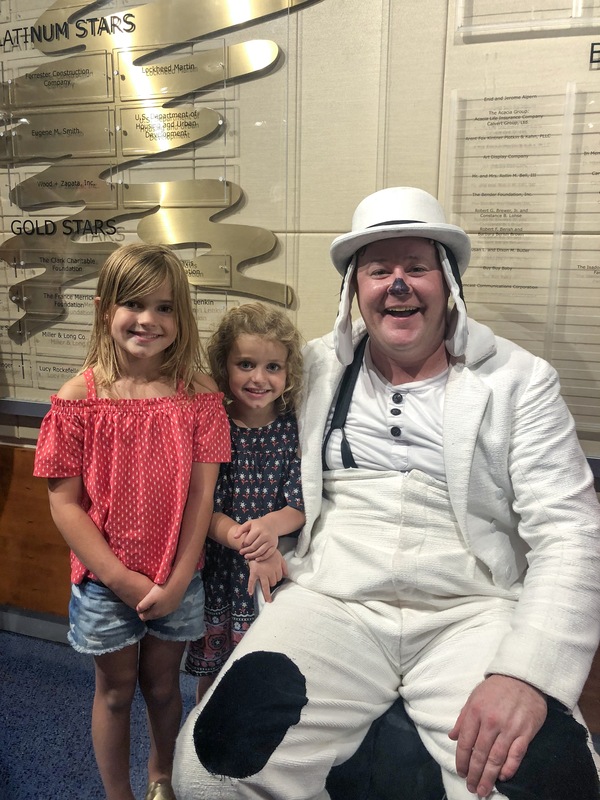 Check out my blog post here that has ideas for the best things to do with kids in D.C. this summer. It’s great to have our kids home for the summer to spend more time together and make lasting memories. 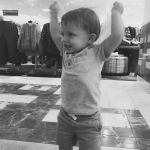 However, I find there’s a delicate balance of having fun with them and not going crazy! My girls are still young with endless energy and the baby is obviously demanding of my time and attention so I find it necessary to hire babysitters for help occasionally. I also enroll my girls in a few weeks of summer camp so that I at least have a few hours where I can get work done, run errands, etc. I have found that by mid August I’m usually feeling exhausted so I make sure to schedule some camp days for those last two weeks of summer break. I also couldn’t live without my gym membership where I can drop my kids off in the child care for an hour or so and workout. I find it crucial to my sanity during the summer months! Although there are beaches about an hour away on the Chesapeake Bay and the Atlantic 3 hours away, we definitely don’t have one close to home. 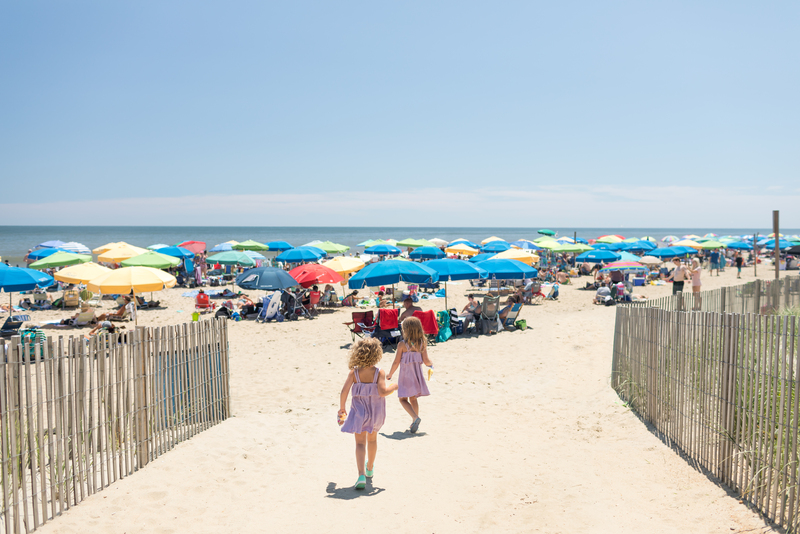 Traveling to a beach from D.C. takes a good amount of time, packing, and planning. So why not enjoy all the local water options. 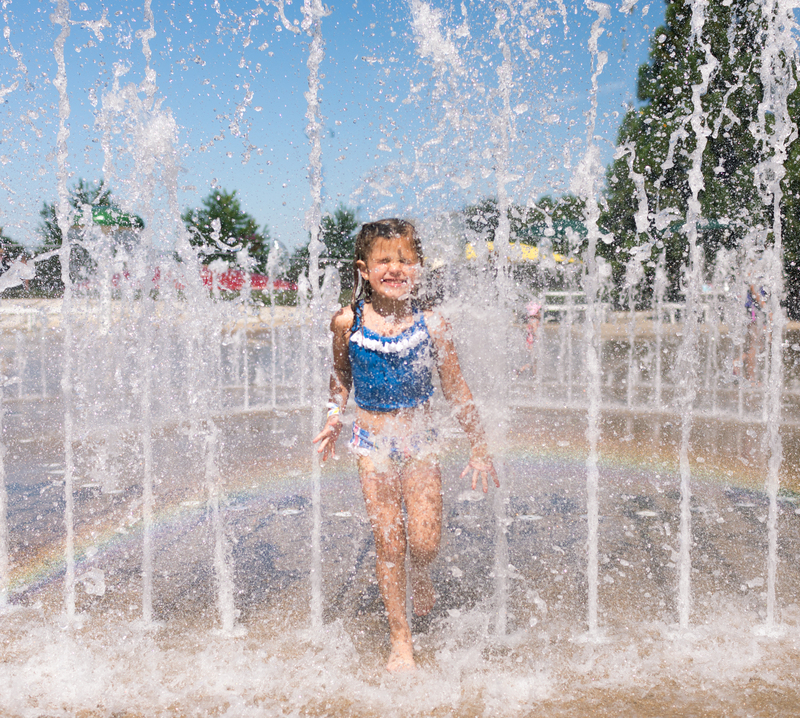 There are many splash parks, pools, water parks, lakes, and waterfront areas to visit in the D.C. area. 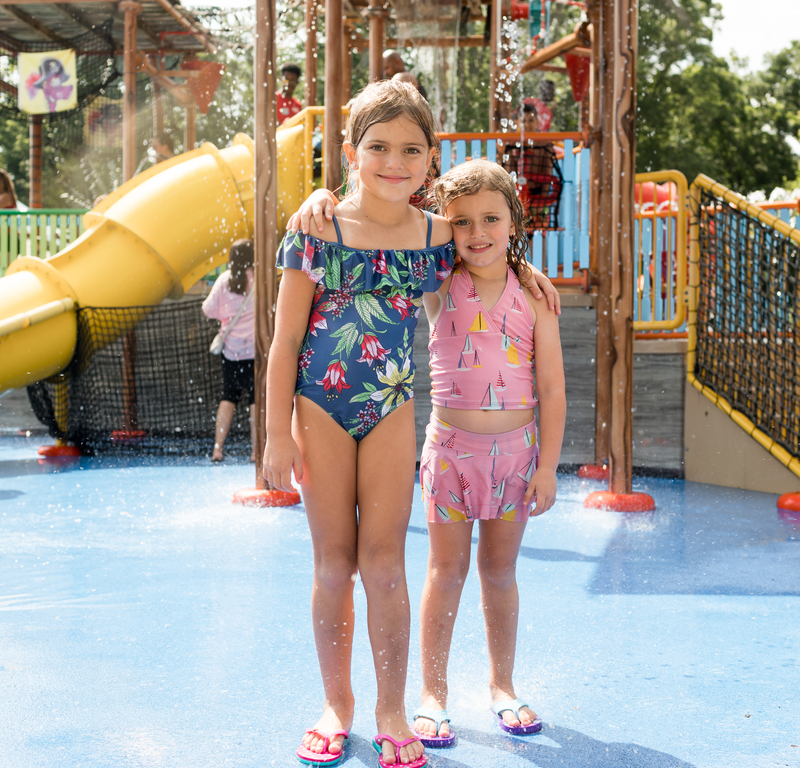 Check out this article here for the best splash parks to visit and this guide on visiting the Georgetown Waterfront. A Road Trip to Pittsburgh is a Must for D.C. Families! 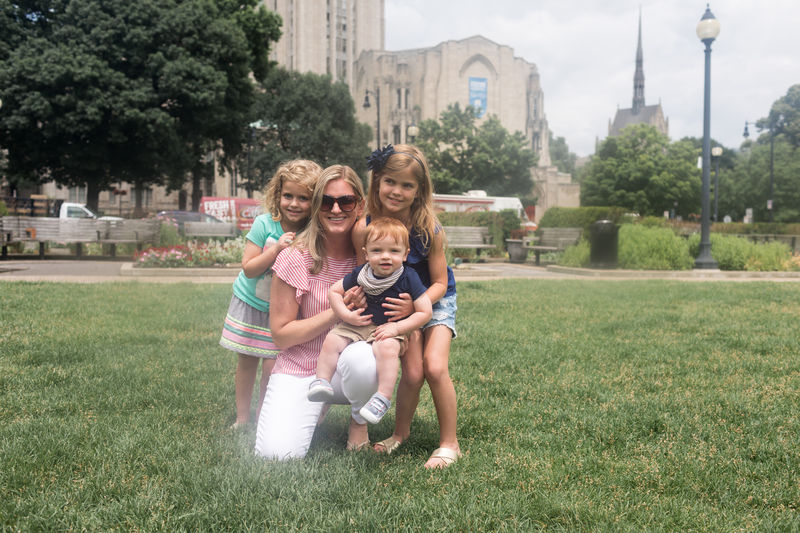 My family recently went on a road trip to Pittsburgh and found out exactly why Pittsburgh is kidsBURGH – the ultimate destination for family fun! We had never visited before so naturally we were excited to explore some place new. It was a fairly quick drive from D.C.; we made it in a little under 4 hours which included 2 stops. It felt like an easier trip than driving to the beach since traffic was not an issue. 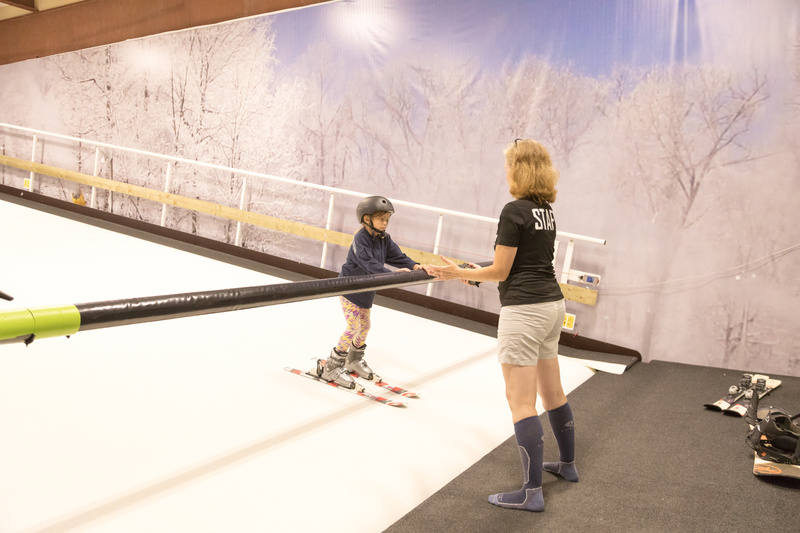 Once we arrived in the city, it was non-stop fun and so easy to keep the kids happy and entertained. 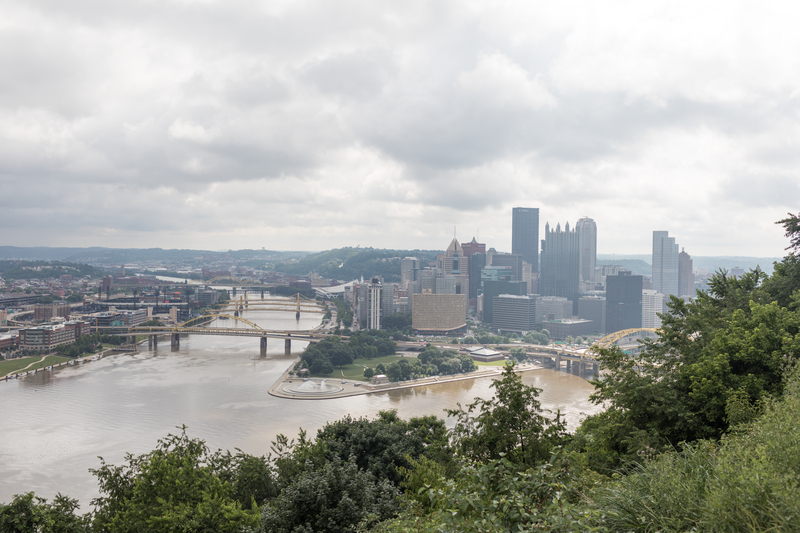 The team at Visit Pittsburgh put together an amazing itinerary for us. 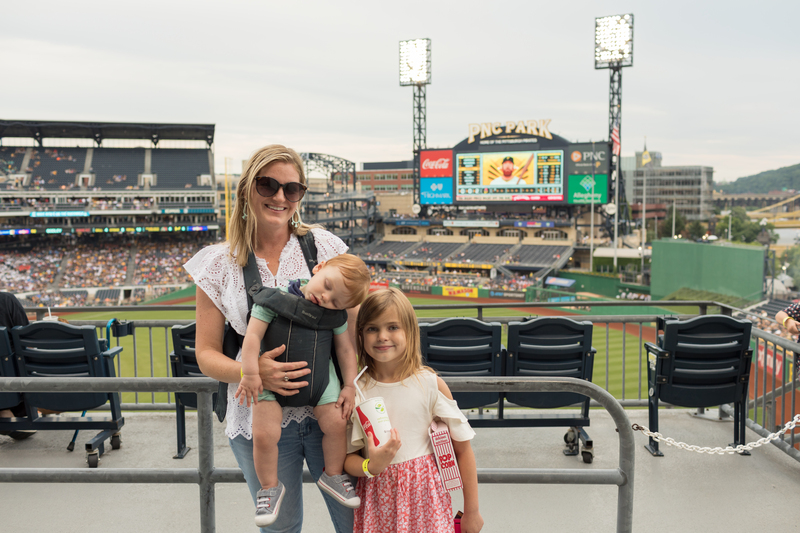 Read on to see why you should start planning your family’s next summer getaway to Pittsburgh! We left D.C. at 7:30am and arrived at our hotel by 11:30am. 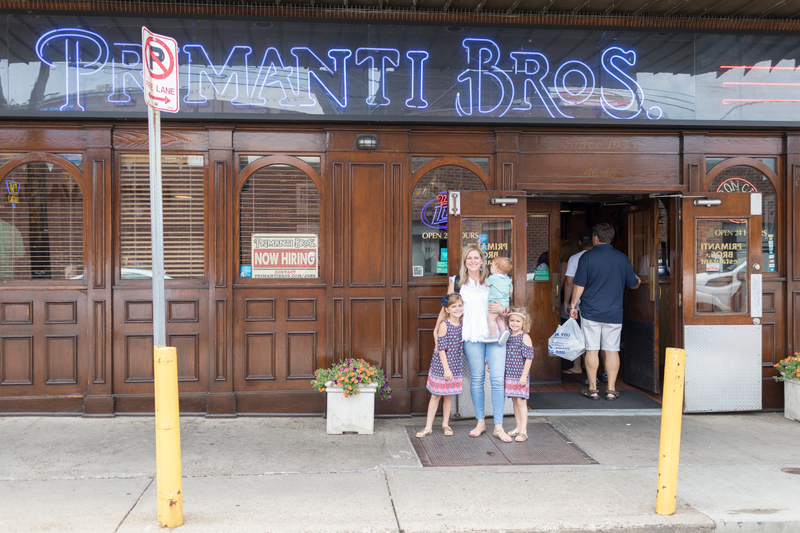 After we checked in and unpacked we headed off to lunch at Primanti Bros. – a Pittsburgh classic. Founded in 1933, the chain is known for its signature sandwiches of grilled meat, an Italian dressing-based coleslaw, tomato slices, and French fries between two pieces of Italian bread. It was delicious and definitely a must! We visited the original location in the historic Strip District neighborhood. 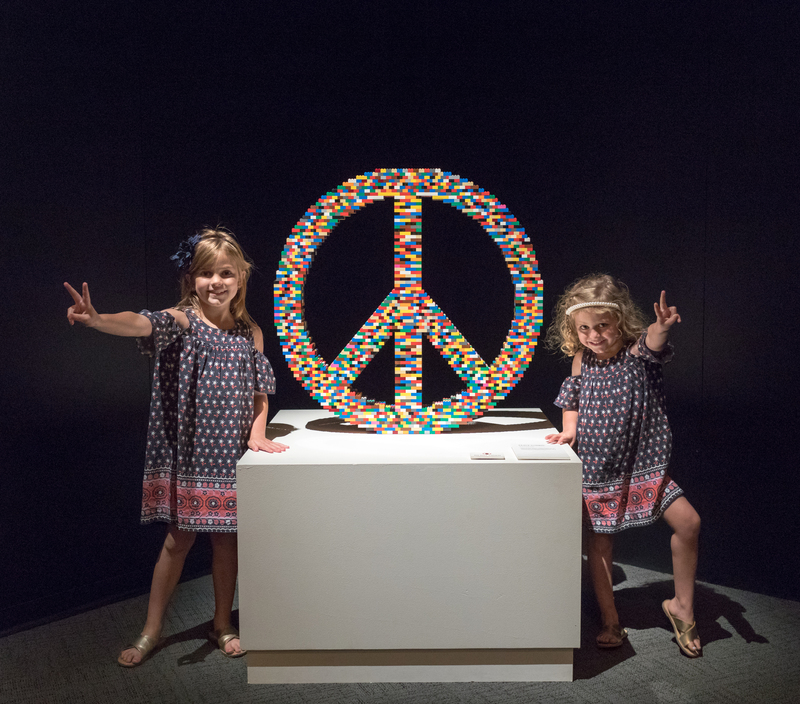 After lunch we went to the Carnegie Science Center and experienced the world’s largest exhibition of LEGO art. 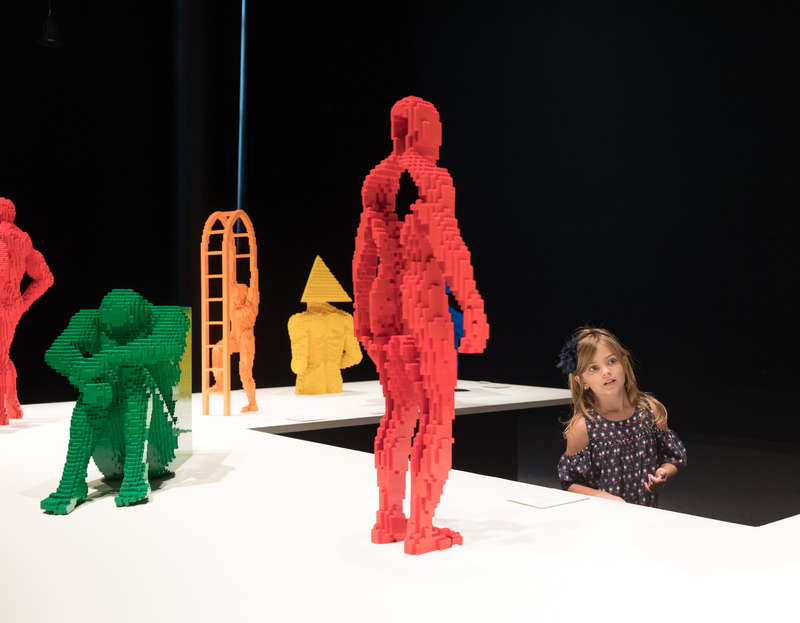 The Art of the Brick exhibit showcases the incredible artworks by artist Nathan Sawaya. 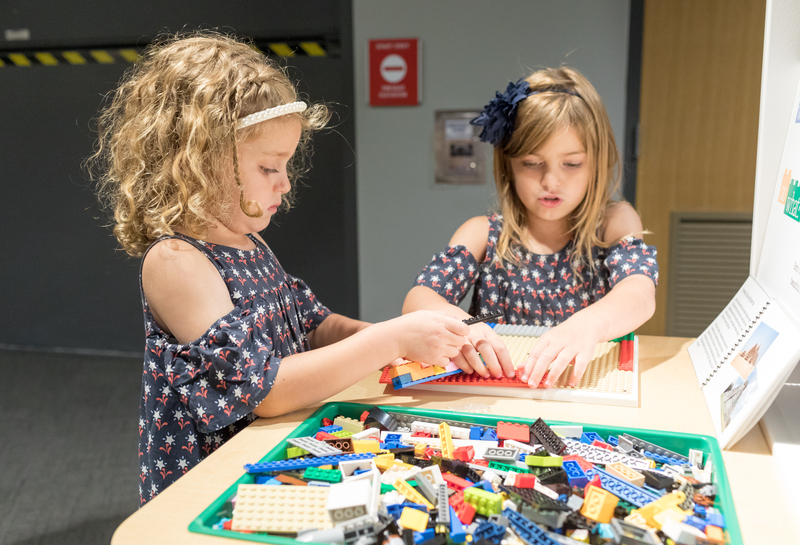 After touring the awe-inspiring exhibit, kids get to discover their inner architect in the free-play and hands-on activity area, Science of the Brick! 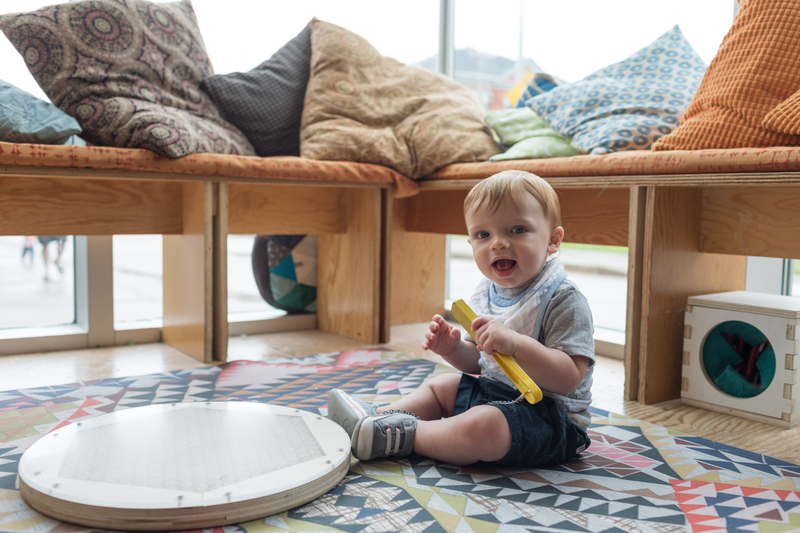 There are so many other areas in the museum to explore too. We could have easily spent most of the day here but we only had 2 hours so we just scratched the surface. After the LEGO exhibit, my girls choose to tour the USS Requin Submarine and also check out the fantastic H2Oh! Why Our Rivers Matter exhibit. We ended the first day of our tour with a Pittsburgh Pirates game at PNC Park. It is located along the shore of the Allegheny River and from the park you can enjoy amazing views of the downtown skyline and riverfront. Inside the park there is a playground area where you can take your little ones if they get restless in their seats. We started Day 2 with Breakfast at Kelly O’s in the Strip District. This diner has been featured on the Food Network and is known as a one-of-a-kind greasy spoon that is a classic Pittsburgh spot for breakfast. Everyone in my family loved the food! My girls devoured their pancakes and bacon, my husband enjoyed his breakfast sandwich on Italian bread, and I had excellent eggs and home fries. We also tried their famous grilled cinnamon roll and that was incredible! You really can’t go wrong with anything on the menu here – it was all delicious! After breakfast we headed to Pittsburgh’s North Side and visited the Children’s Museum. 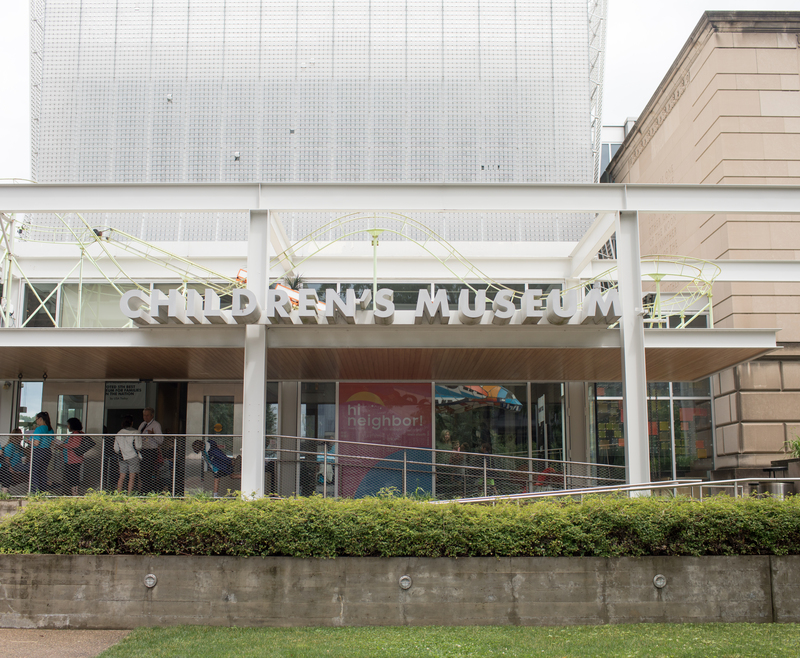 This is one of the best that we have been to and I can definitely see why it was named one of the nation’s top 15 children’s museums by Parents magazine in 2015. 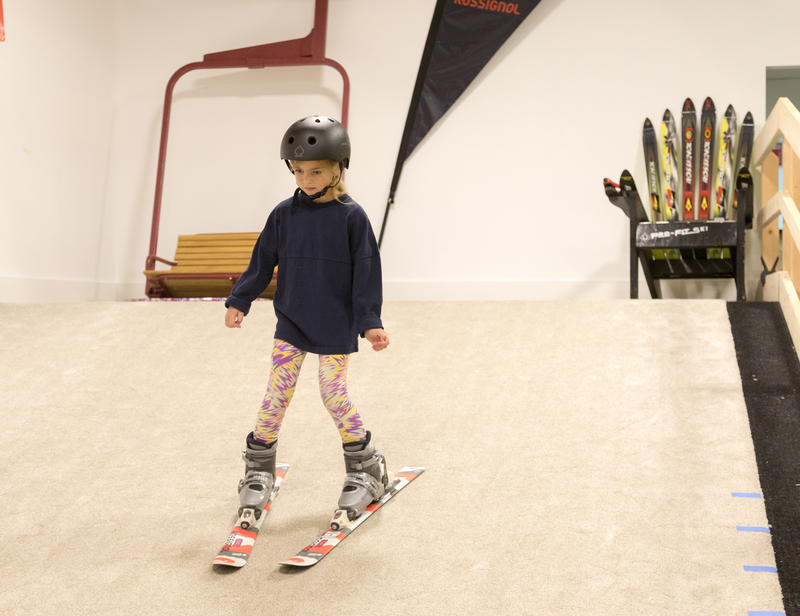 There are three floors of innovative experiences where kids can play and inspire joy, creativity, and curiosity. Also, this summer there are two other fantastic exhibits on view: Thomas & Friends: Explore the Rails and The Pigeon Comes to Pittsburgh: A Mo Willems Exhibit. The day just kept getting better! 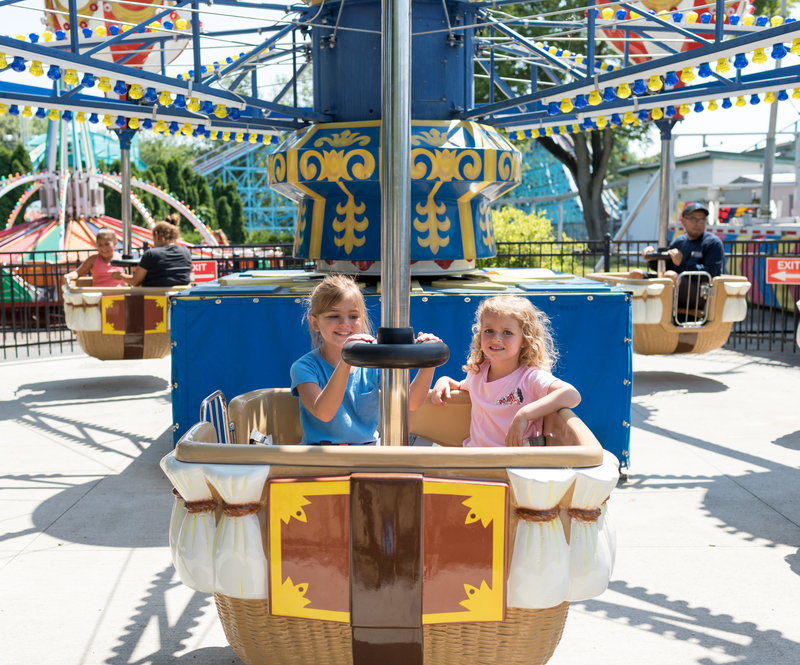 After the Children’s Museum we were off to Kennywood – known as America’s finest traditional amusement park. This was the stop on the tour that my girls were most excited about. 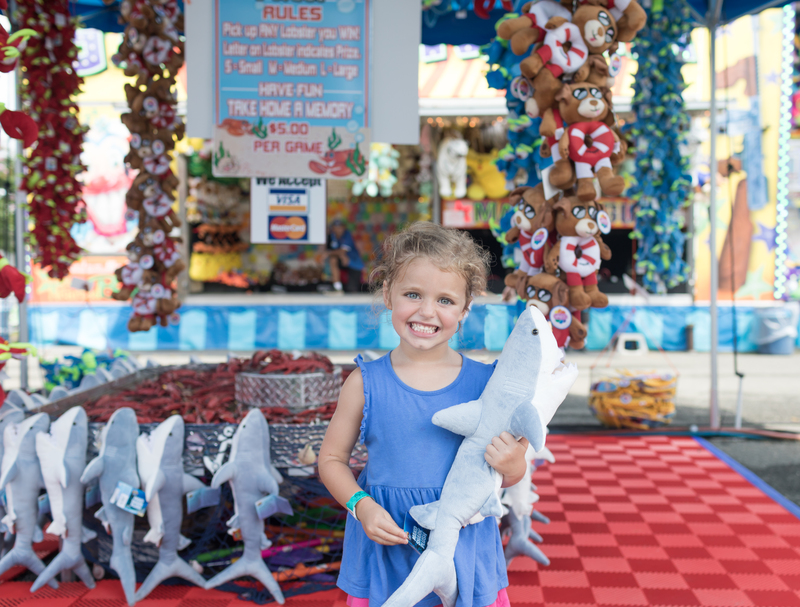 Rides and games, plus fried food and sugary jumbo treats is a dream come true for them! Kennywood opened in 1898 and was designated as a National Historic Landmark in 1987. 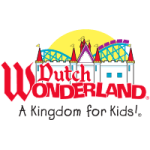 It has a mix of the old-school favorites and the new thrill rides like Black Widow. 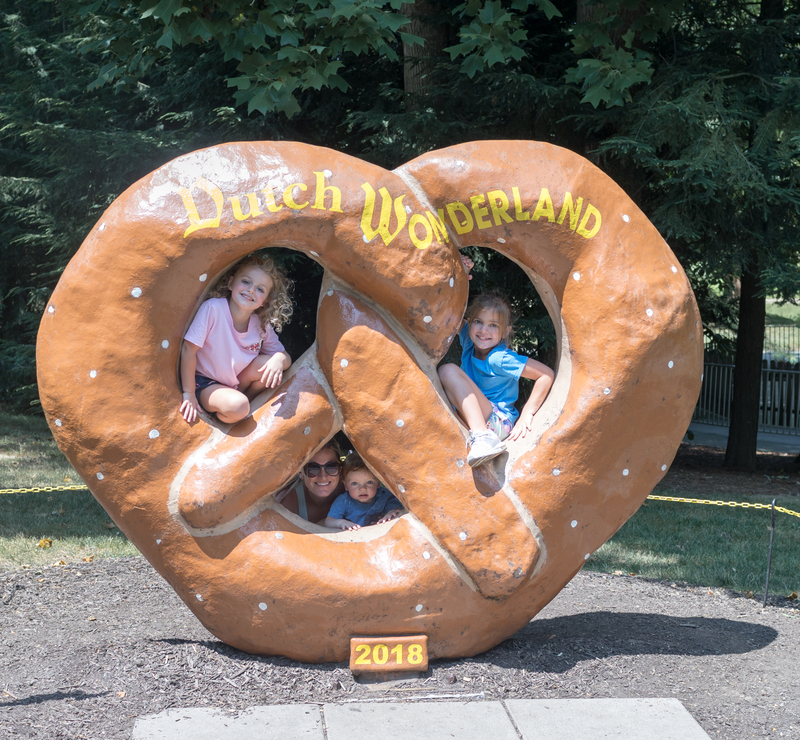 Kennywood was so much fun, it was really hard to leave but we needed to head back to the hotel to freshen up before dinner at Hofbrauhaus in the South Side neighborhood. The restaurant is modeled after the legendary 400+ year-old Hofbräuhaus in Munich and it really felt like we were in Germany. When we walked into the bier hall there was a musician playing the accordion and it had such a unique ambiance. The food was delicious and the kids menu offered up plenty of the popular dishes like cheese pizza, hot dogs, and chicken tenders. The restaurant is located on the bank of the river so after dinner we walked along the South Side Riverfront Trail and took in the amazing city views during sunset. After dinner we stopped at The Milk Shake Factory for treats. At this premier dessert destination you can create your own milkshake from the extensive list of flavors or choose one of the classic or signature milkshakes on the menu. This was a sweet ending to fun-filled day! We started the day with a delicious breakfast at Waffles Incaffeinated in the South Side. My girls were super excited to build their own waffles from the large list of signature ingredients. We all left happy with full bellies! 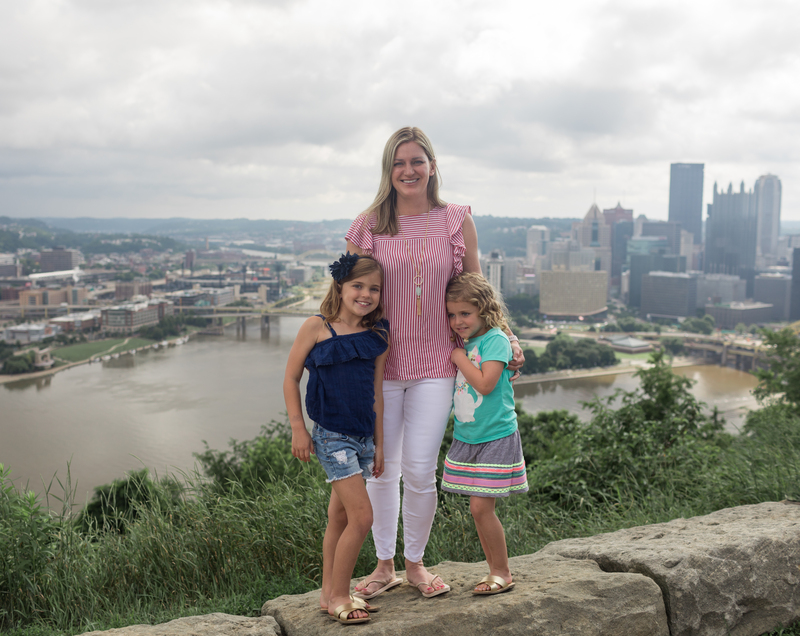 Our next stop was Mount Washington where we took in the panoramic skyline views of the city. USA Today named the view from Mt. Washington one of the 10 most beautiful views in America. And we agree – it’s simply stunning! 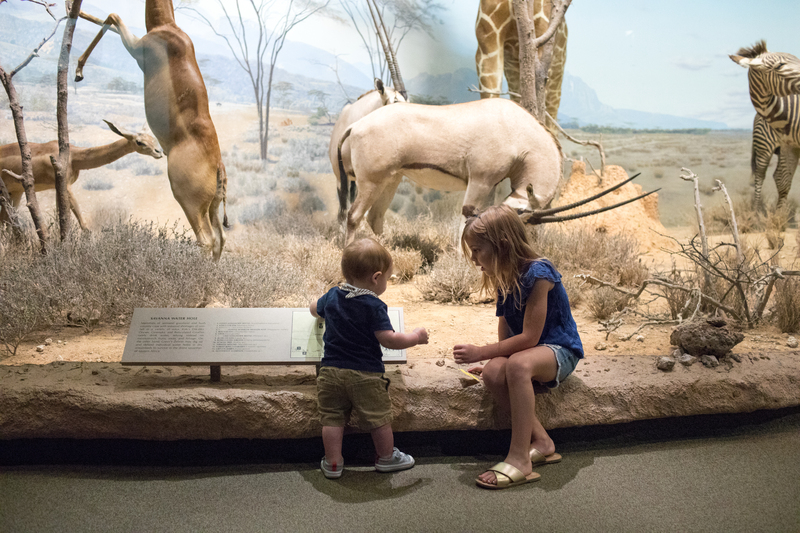 The original plan for the next destination was a visit to the Pittsburgh Zoo & PPG Aquarium but with rain in the forecast we played it safe and instead went with an indoor option – the Carnegie Museum of Natural History. This is a great museum for kids with an incredible dinosaur exhibit including T.rex and other towering fossils. Our time here was short but we also made sure to see the Hall of African Wildlife, Hall of North Amerian Wildlife and the Walton Hall of Ancient Egypt where my girls were fascinated with the mummies! Our last stop on the tour was brunch at The Porch at Schenley Plaza. The menu features local and fresh ingredients used in new recipes as well as the classics with a twist. The food was amazing and the location was perfect too! 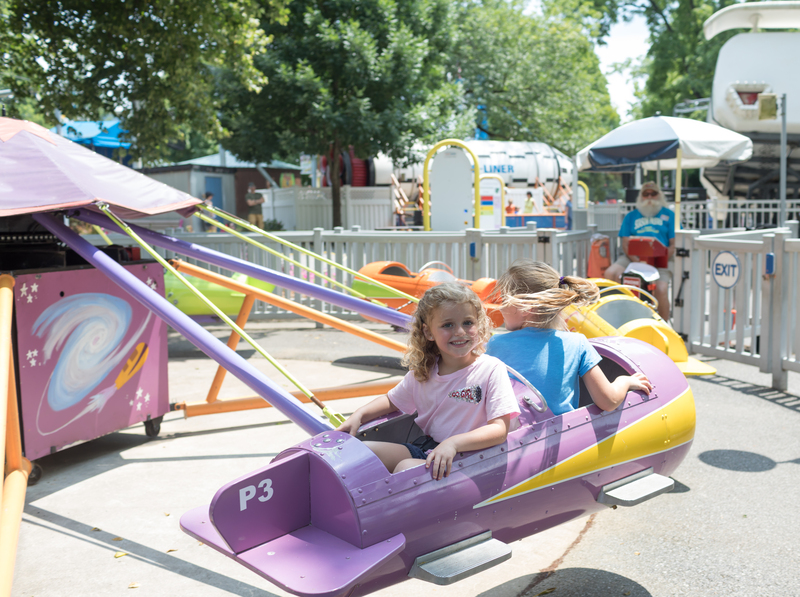 After dining you can take your kiddos over to the nearby PNC Carousel for a spin or enjoy the beautiful green space. My family had the best time in Pittsburgh and didn’t even get to see everything on our first visit. 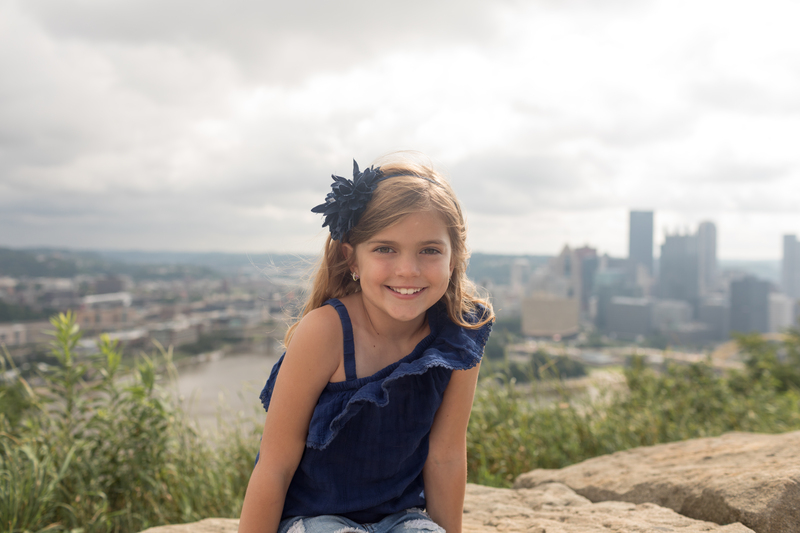 We will most definitely make a return trip to spend more time at the places we loved and also check out the places we didn’t have time for like the zoo, the National Aviary, and the Duquesne Incline. 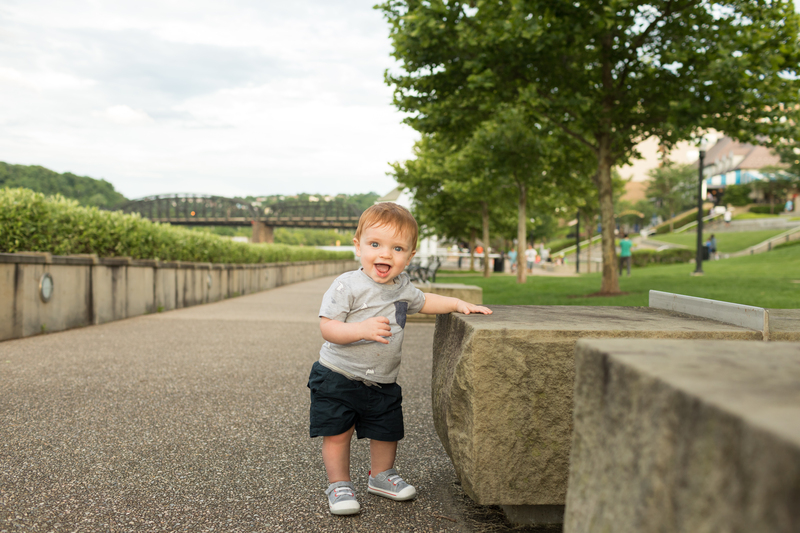 We were pleasantly surprised with all the family friendly and affordable attractions Pittsburgh has to offer! Disclosure: My family was hosted by Visit Pittsburgh for the purposes of this post. All opinions are my own. 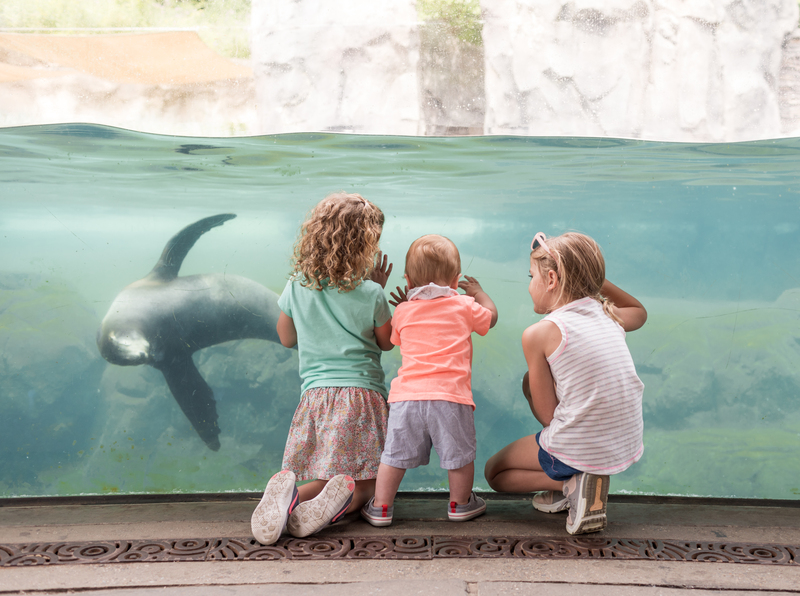 How to Have the Best Summer Ever with Kids in D.C.
Summer break will be here before we know it! The last day of school for most kids in the D.C. area is within the next couple of weeks. Are you ready?! 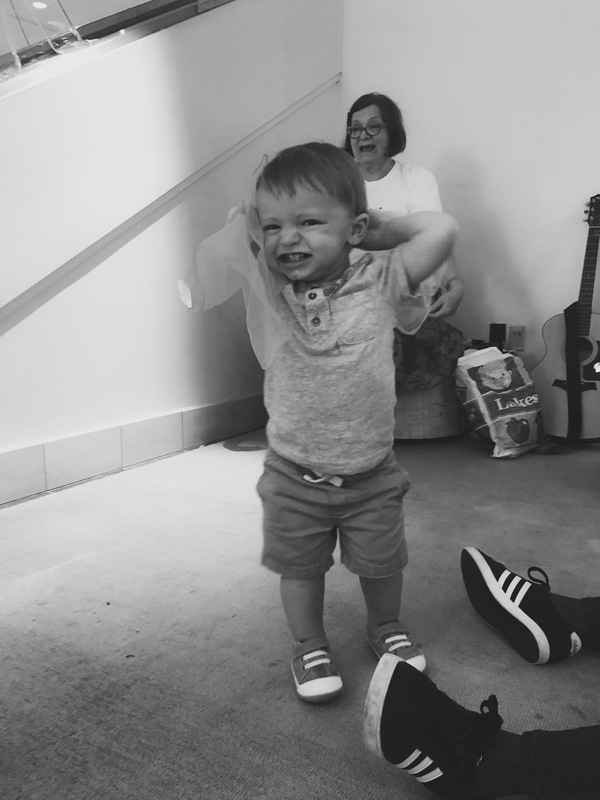 This will be my first summer with 2 kids + a baby, so it will be challenging to say the least. I’m pretty sure I will be completely exhausted by the end but I definitely want to make it lots of fun. After all, we only get 18 summers with our kids before they head off to college. 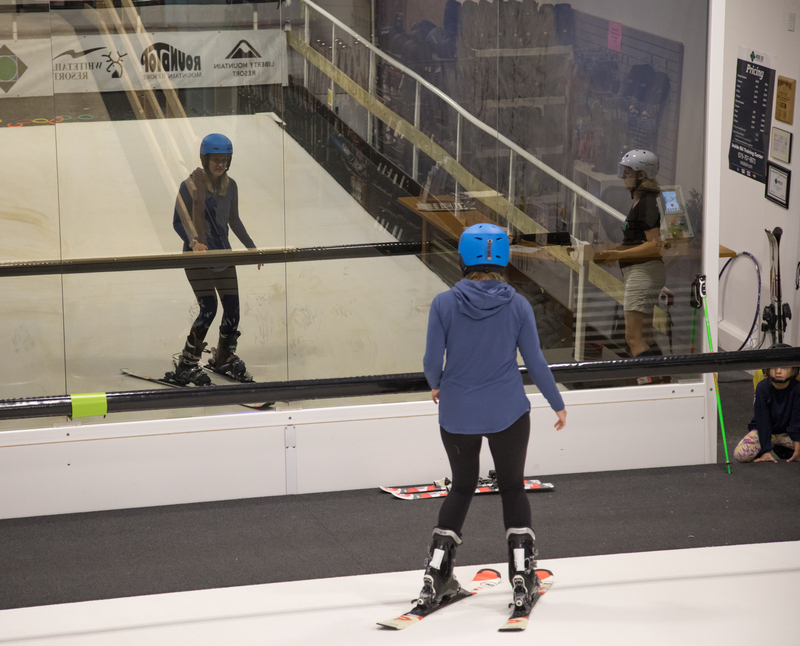 I have found that a mix of structured camp weeks and unscheduled free weeks works best for us. My girls really enjoy camp and I need that time to recharge and get work done, run errands, exercise, etc. 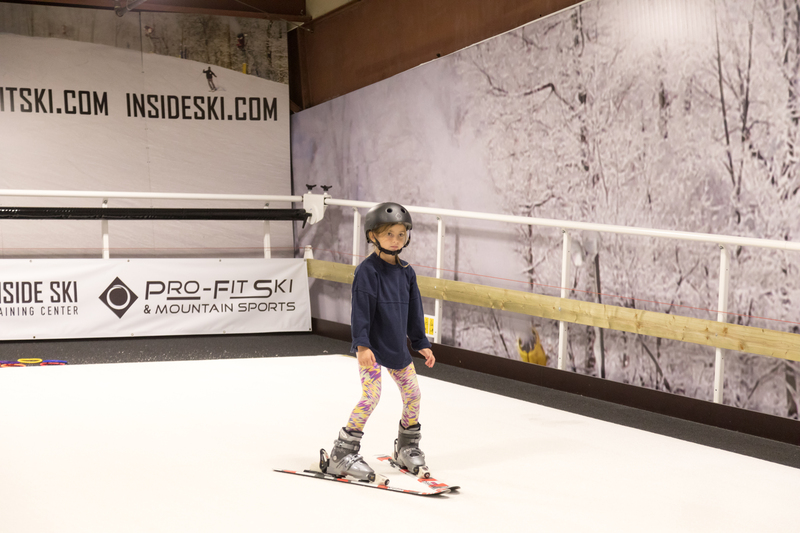 But I also like to have a few weeks where we don’t have any classes or camps so that we can go on adventures and take advantage of the many fun outdoor kid-friendly things there are to do in the DC area. Also, just having time to play at home and in our backyard is important too since we are always in go, go, go mode during the school year. 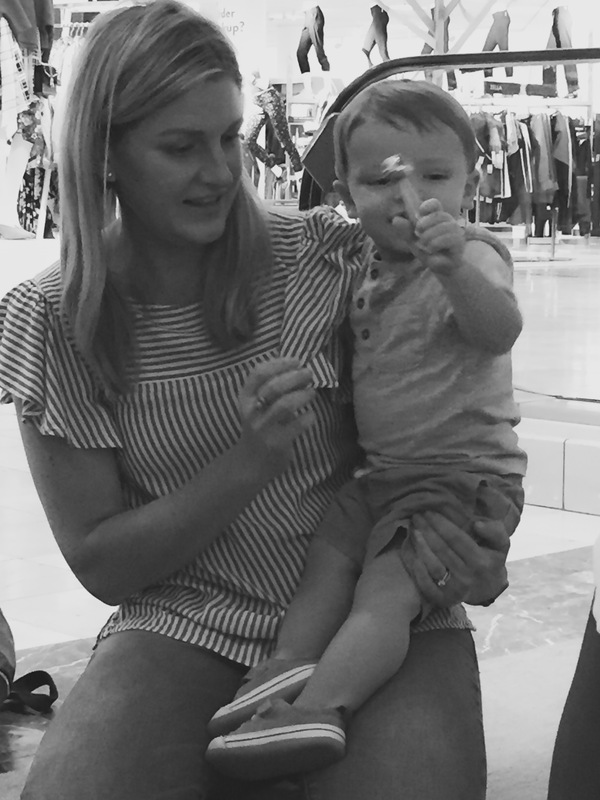 My girls and I like to come up with a list of our “must-do’s” before summer break begins. The summers seem to fly by so having a list and a plan of what we want to do most will help us accomplish our summer bucket list. We are ready for the best summer yet! 1. Go to a farm to pick fresh fruit. 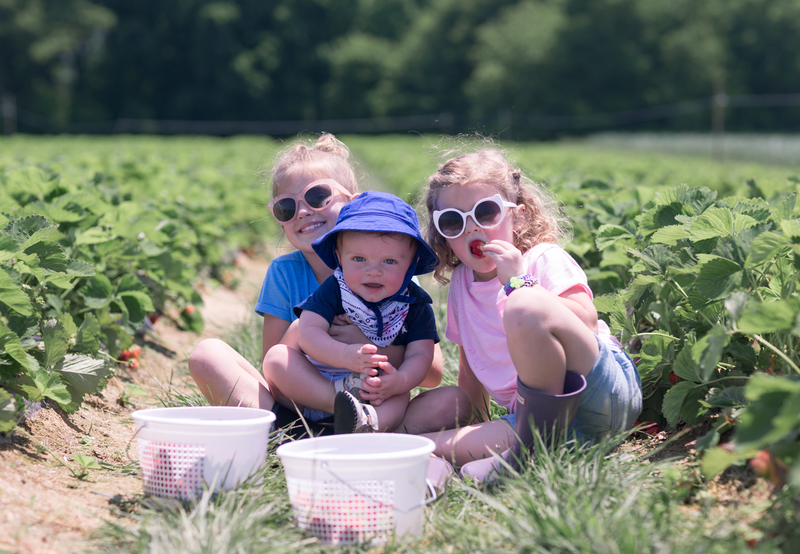 The pick-your-own season starts in May with strawberries and continues throughout the summer with cherries, blueberries, raspberries, blackberries, and peaches. Click here to read our article on Mommy Nearest with a list of our favorite farms to visit in Maryland and Virginia. 2. 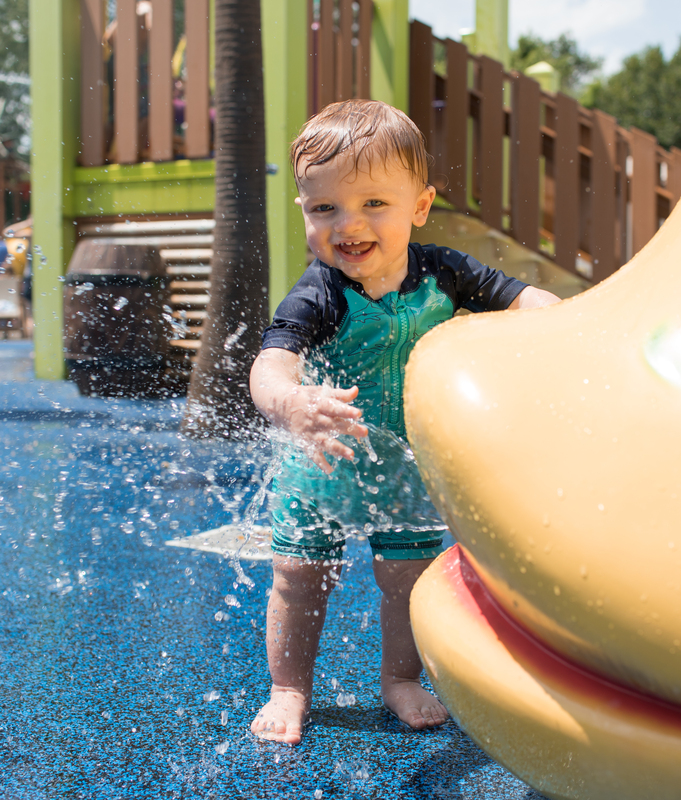 Cool off at a splash park. Sometimes it’s fun to change it up and play at a splash park instead of the pool on a hot summer day. We have so many fun splash pads in the area. 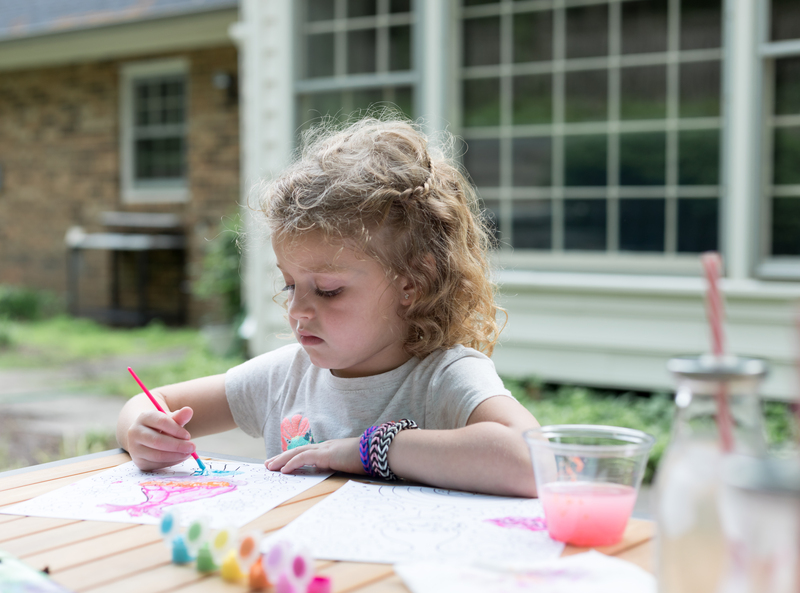 Here are a few of our favorites: South Germantown splash park, Chevy Chase sprayground, Palisades splash park, Georgetown Waterfront Park, and The Yards Park. 3. Take a trip to the beach. We usually go to a couple different beaches over the summer. Chesapeake Beach, MD is one that we enjoy and only an hours drive from DC so it makes for the perfect day trip. Read more about it in our article with Mommy Nearest here. My girls love it mostly because you can hunt for fossilized shark teeth. 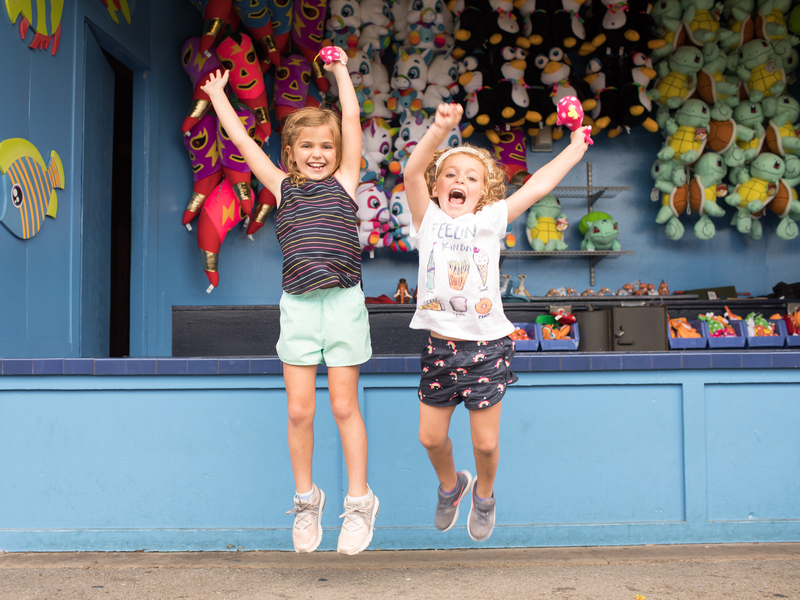 The other beach we visit each summer is Rehoboth Beach, DE and a couple of must-do’s for my girls at this beach are Funland and Crab Claw Adventures. 4. Play in our own yard. 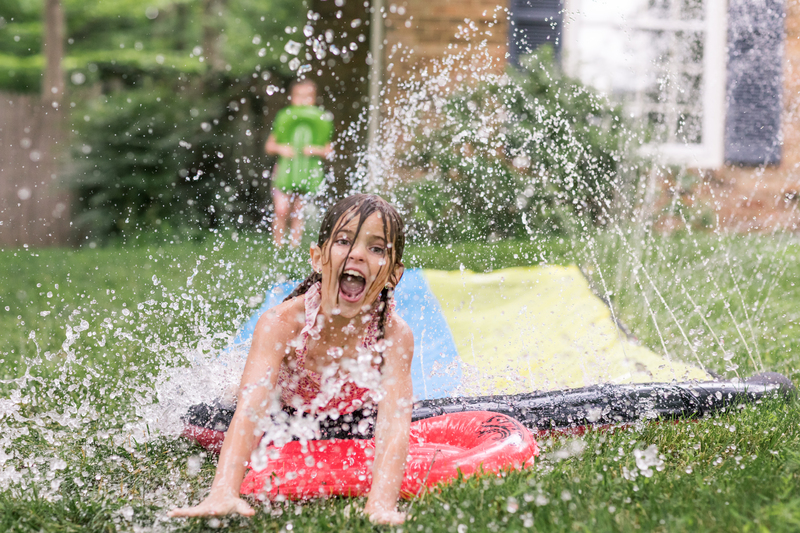 Swimming in the pool, water balloons, slip n’ slide, sprinkler fun, sidewalk chalk, ice block treasure hunts, giant bubbles, outdoor art, picnics, and lemonade stands are some of the fun things we plan to do right in our own yard. Thanks to DC Mosquito Squad we are enjoying our yard free of mosquitoes and gnats! We absolutely love to spend time outside and don’t want the bugs to drive us back inside the house, so we’ve already started our annual mosquito & gnat treatments that repel and kill the pesky bugs to help us enjoy our yard to the fullest throughout the summer. About every three weeks a DC Mosquito Squad technician comes out to apply a long lasting barrier spray to our front and back yard that repels and kills mosquitoes and gnats for about 21 days. I didn’t even know there was a treatment for gnats until this year when I was browsing the DC Mosquito Squad website. I was thrilled to find this out as there is nothing more annoying than a swarm of gnats around your face and it’s even worse when they get in your eyes or mouth….noooooo thanks! The nice thing about the gnat treatment is it’s just an add-on to the mosquito package so they can spray for both at the same time. You can read more about it here. 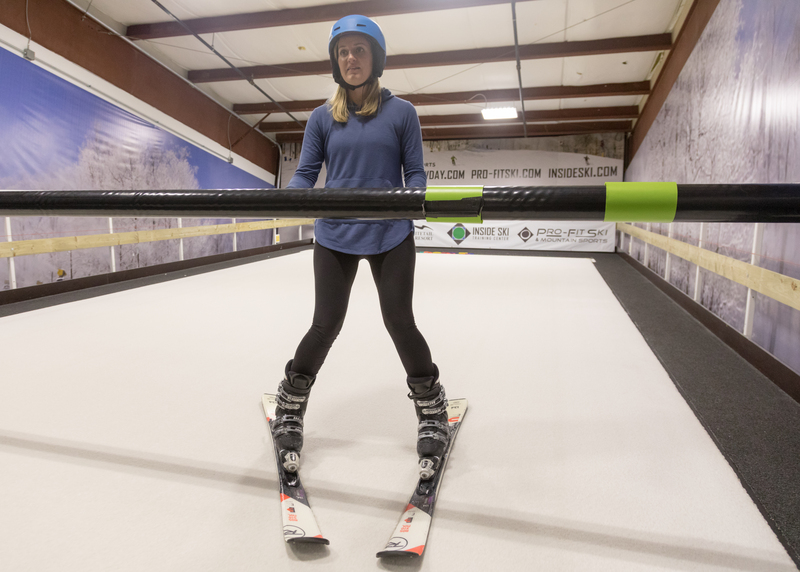 Are you wondering if the barrier treatments really work? I was skeptical at first too but then I realized it does work extremely well! 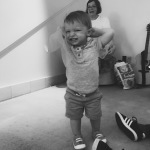 I’ve been getting our yard sprayed for 7 years now….ever since my oldest was born. I remember taking Clara outside to swing as a baby and having to shoo away mosquitoes on her face. That’s when I decided I needed to do something about the mosquito problem and it has been absolutely worth it! I’ve been really happy with our services from DC Mosquito Squad. 5. 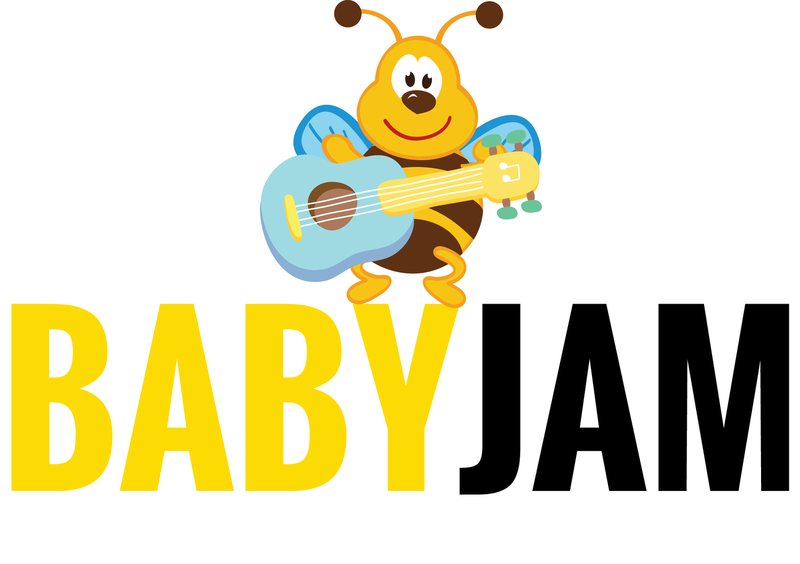 Enjoy outdoor children’s concerts and theater performances. 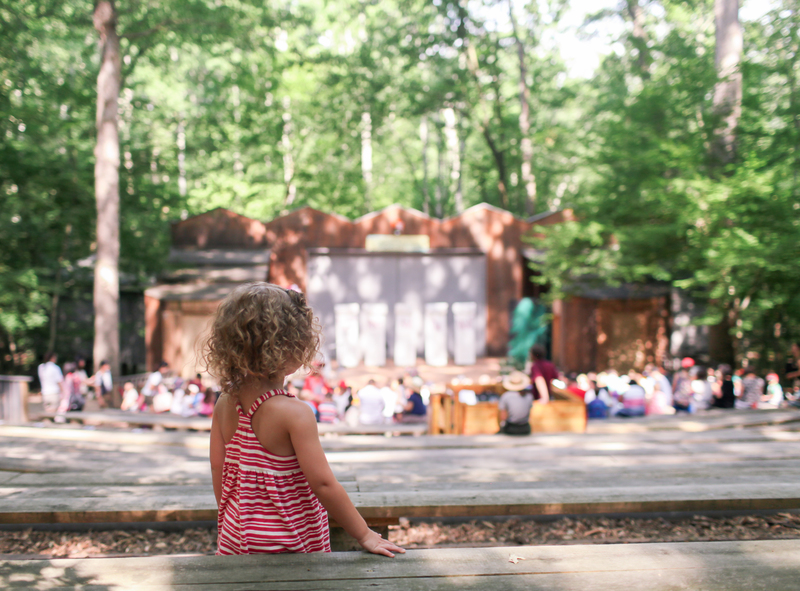 Every Thursday morning in July, Strathmore offers their Backyard Theater for Kids program. 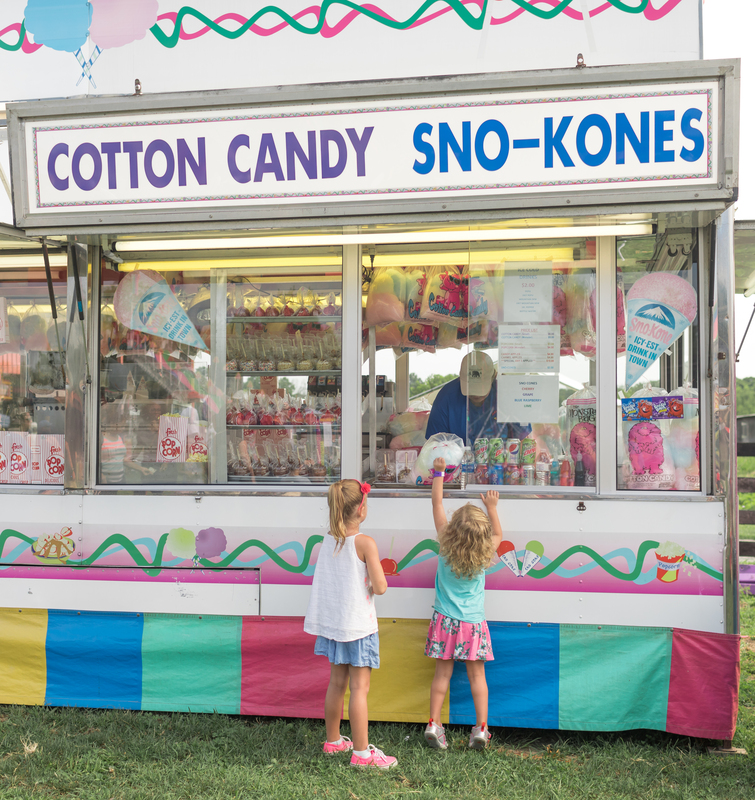 The family-friendly performances are lots of fun, plus the kids enjoy the free snow cones! 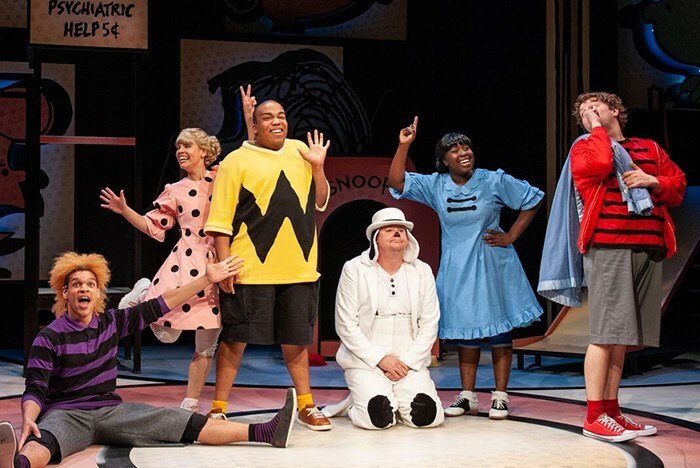 We also love the Children’s-Theatre-In-The-Woods performances at Wolftrap. 6. 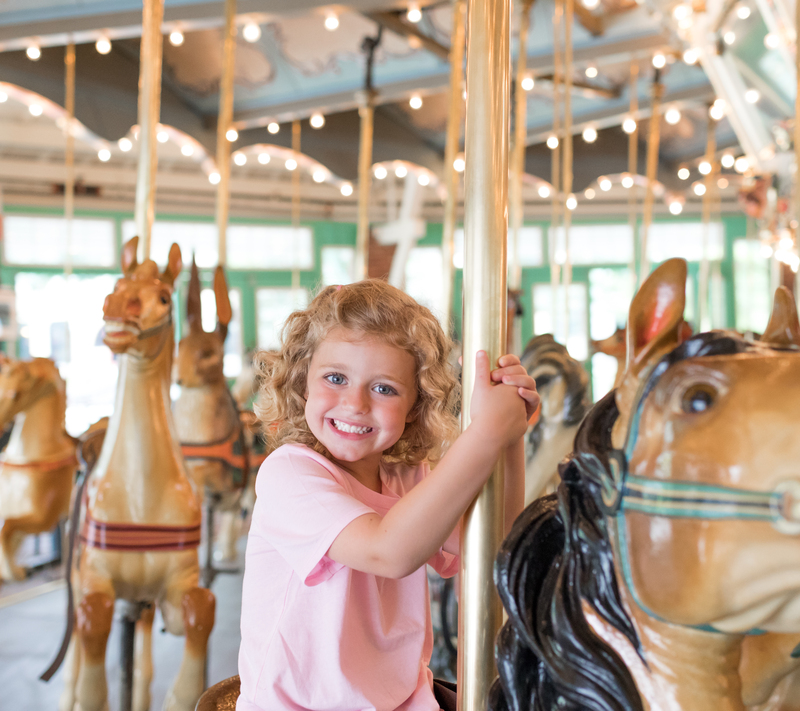 Ride the carousel at Glen Echo. 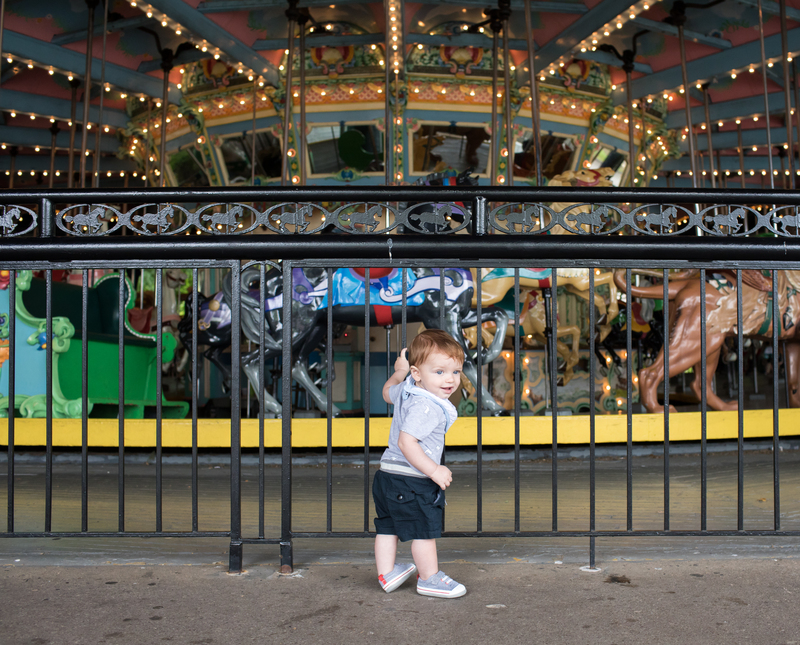 The carousel at Glen Echo is our absolute favorite in the DC area. 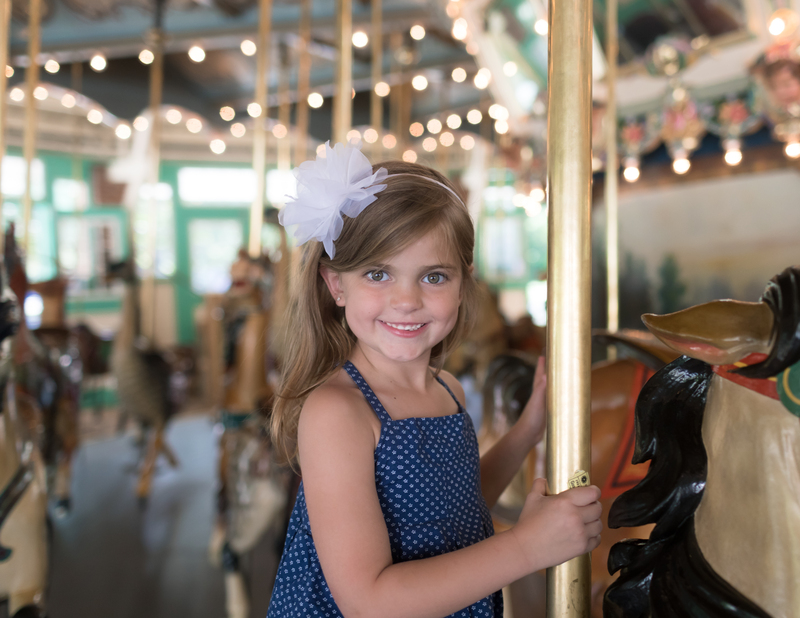 There are several that you can read about in our article here but we think the Dentzel carousel in Glen Echo is extra special! 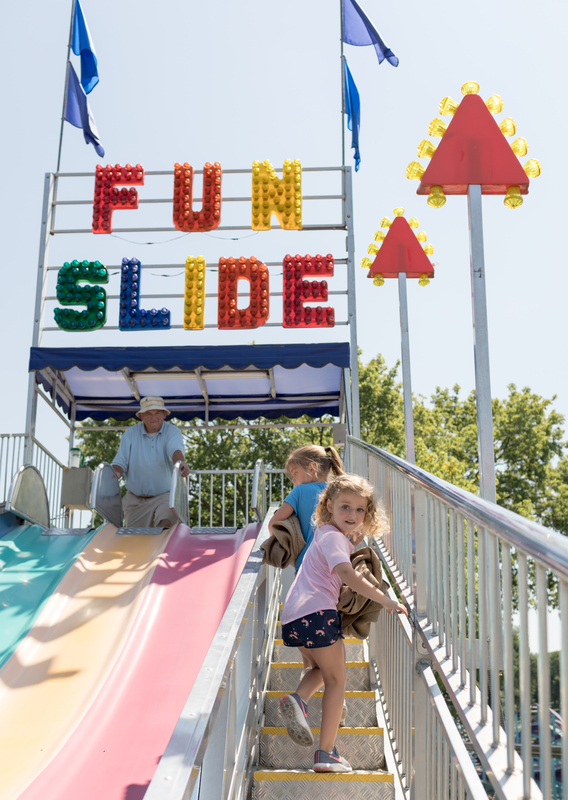 Plus there are so many other things to do while you are at the Glen Echo park: see a puppet show at The Puppet Co., catch a show at Adventure Theatre, visit the aquarium, and play on the playground. One of the many great free things in Washington, D.C.! When we visit in the summer, I make sure we get to the zoo early in the morning (by 9am) before the heat + crowds arrive to enjoy it the most! 8. Go to a summer fair, carnival, and theme park. My girls live for the Montgomery County Fair! They get so excited for the animals, rides, and games. 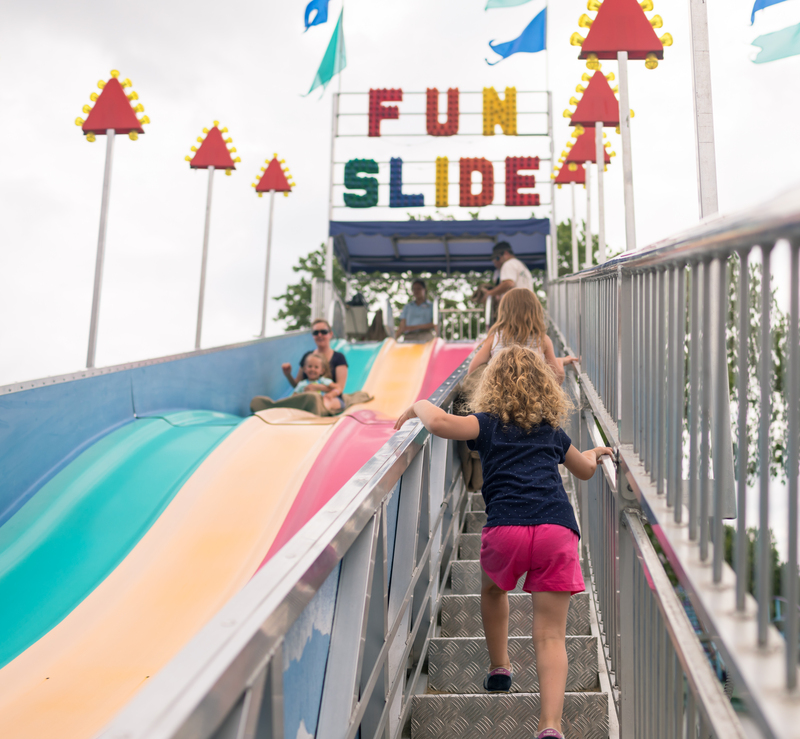 We also like going to the Frying Pan Farm Park 4H Fair and Carnival every summer. It’s a small carnival but easy to manage with small children. We also have plans to visit Dutch Wonderland for the second time this summer. We had such a great experience there last year. 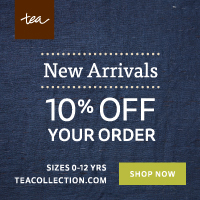 Click here to read more about it + get a discount code for tickets! Of course along with these things we will be making the rounds at our favorite ice cream shops, parks, and playgrounds too! What do you have planned this summer? Let me know if there’s anything else we can’t miss out on!